Volkswagen Auto Group has announced a recall of select 2012 Audi Q5 sport utility vehicles over a concern that the power sunroof could shatter suddenly and without warning – possibly injuring passengers while also increasing the likelihood of an accident due to the driver being distracted by the noise and falling glass. This new Audi recall specifically affects Q5 sport utility vehicles from the 2012 model year built between June 21st 2011 and December 9th 2011. During this period, the Q5 may have been equipped with a glass sunroof panel that is susceptible to breaking when exposed to very cold temperatures. In total, 13,172 vehicles are included in the recall although the NHTSA offers no idea as to how many of those vehicles are located in areas where the vehicle will be exposed to the types of temperatures needed to break the glass. However, considering that many four wheel drive crossovers like the Audi Q5 are purchased by those who plan to battle winter storms – there could be a fair number of these vehicles in areas around the US that faces freezing temperatures. The National Highway Traffic Safety Administration bulletin did not go into much detail about the breaking sunroof in the 2012 Audi Q5 but from the sounds of things, the glass sunroof panel may not have been tempered properly and when this glass is exposed to sub-freezing temperatures, it can be more likely to break because it is more brittle than properly tempered glass. If the glass is more brittle than it should be, something as innocent as hitting a pot hole on a 0 degree day could be enough to cause the glass to shatter and come showering down on the driver and front riding passenger. Having small shards of broken glass rain down on the driver and front passenger could likely cause injuries while also distracting the driver. A distracted driver is more likely to be involved in an accident than one who is focused on the road so not only does this recall pose a safety risk to the occupants of the Q5 but it also poses a risk to those who may be traveling around the Q5 when the sunroof shatters. When you add in the fact that these frigid temperatures at fault for breaking the sunroof may also be accompanied by icy roads – there is an even greater chance of an accident. 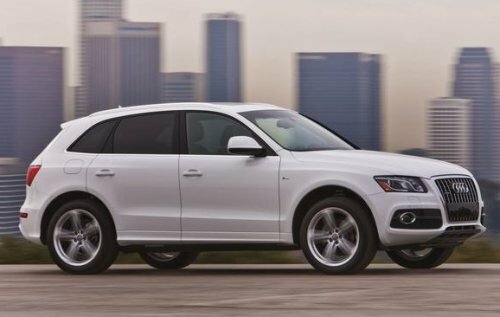 This 2012 Audi Q5 recall is scheduled to formally begin on or around August 7th 2012, at which point Volkswagen Auto Group will begin notifying the owners of affected vehicles. These owners will be asked to return to their nearest Audi/Volkswagen dealership where the glass sunroof panel will be replaced with a piece that is not likely to break when exposed to extremely low temperatures. Concerned owners who want more information ahead of early August can call the NHTSA at 1-888-327-4236 in reference to Volkswagen recall # 60B2/L3. This work will be performed free of charge to the customer. Happened to me. In a Honda Accord.